Pyotr Il'yich Tchaikovsky. Very Good. In very good packaging. 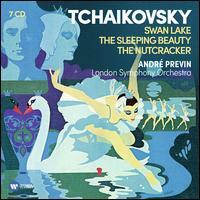 André Previn-Tchaikovsky: The Ballets (Swan Lake, Nutcracker, Sleeping Beauty) by Andre Previn.